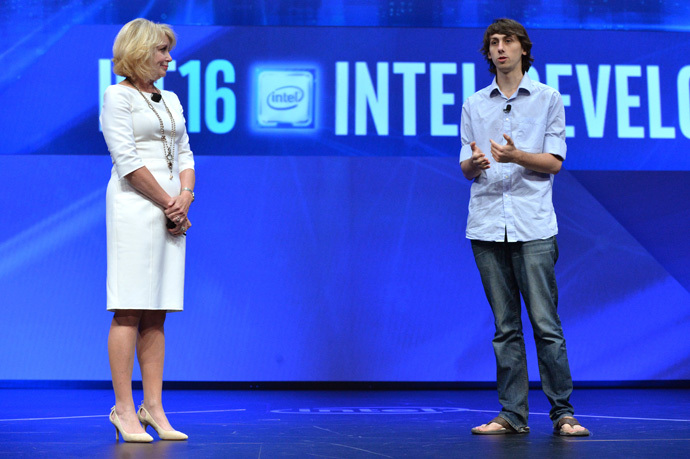 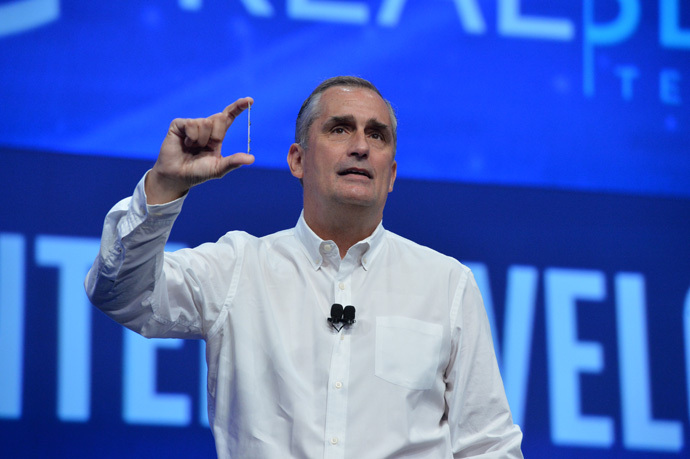 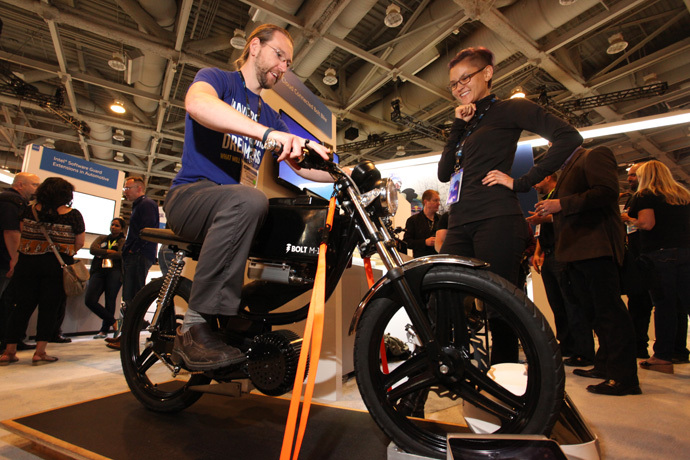 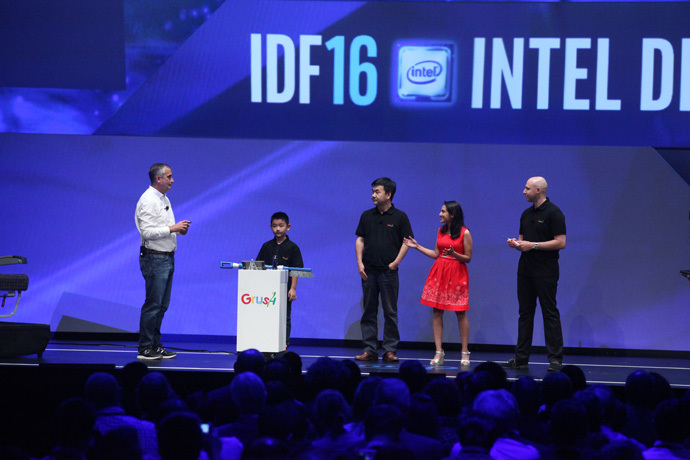 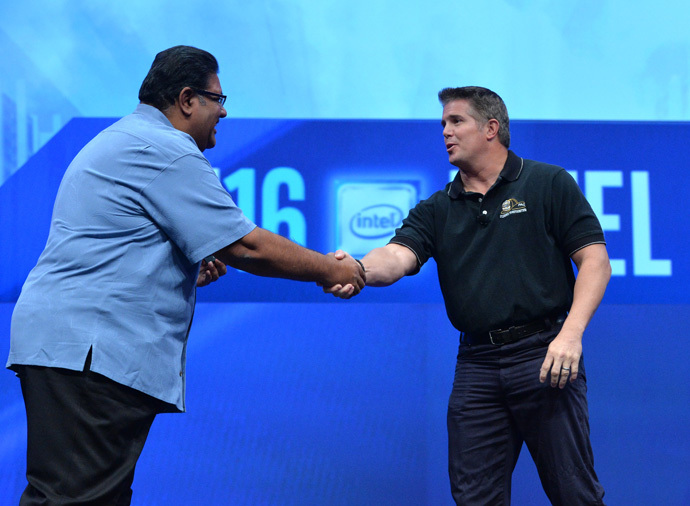 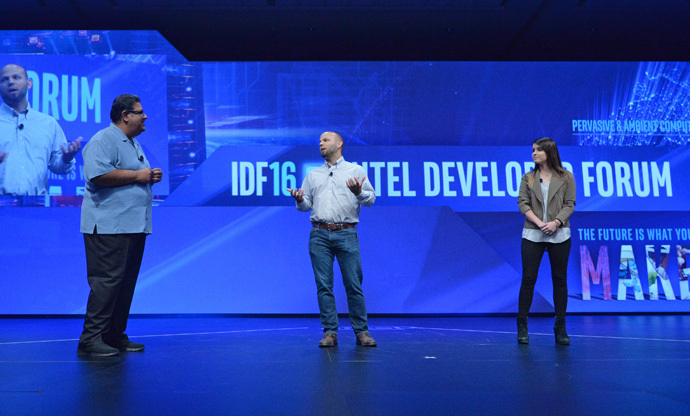 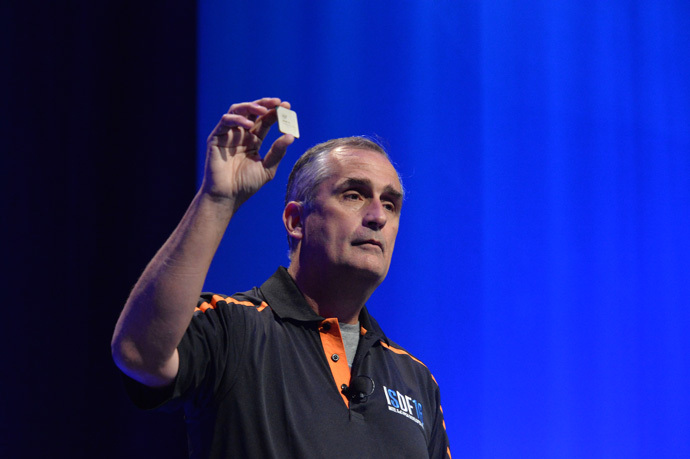 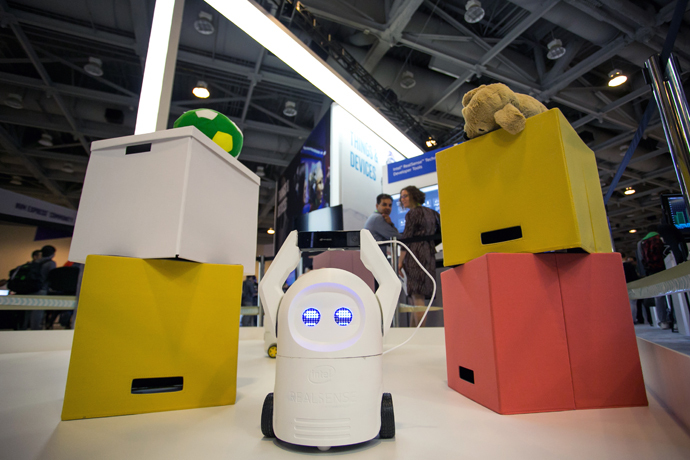 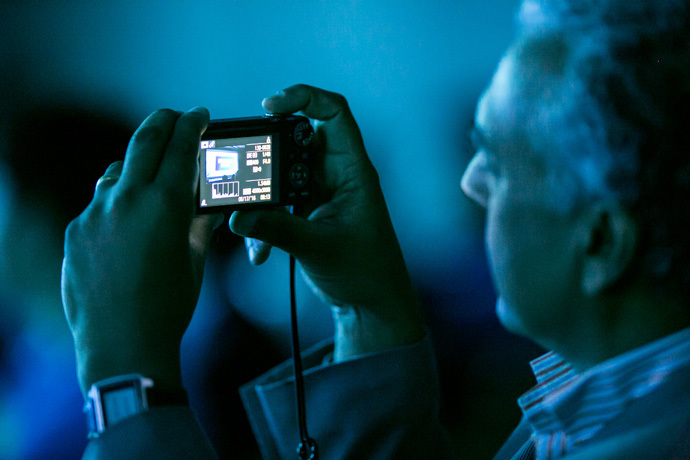 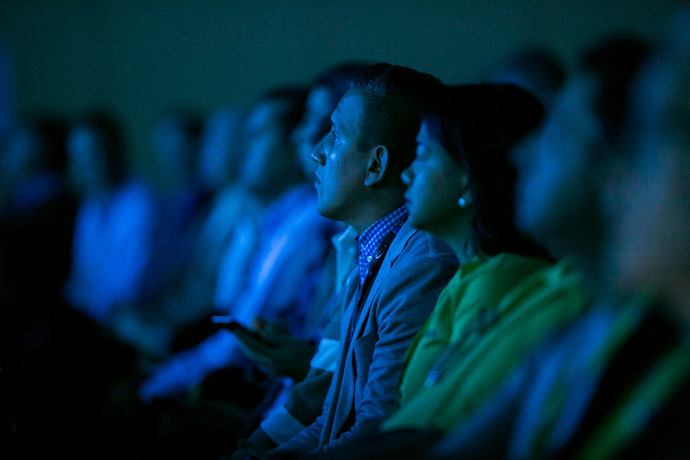 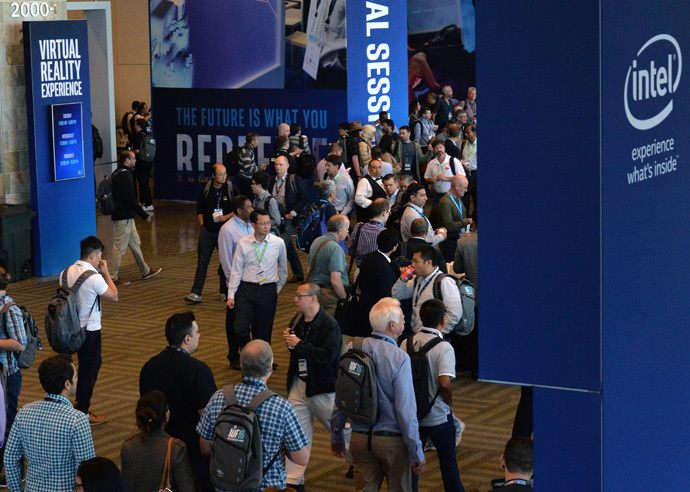 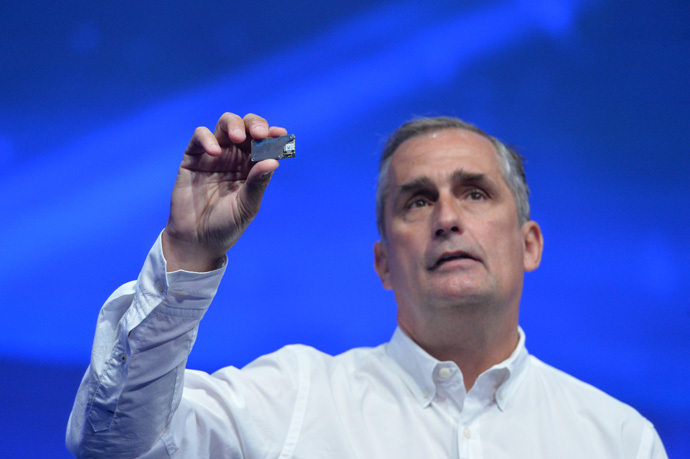 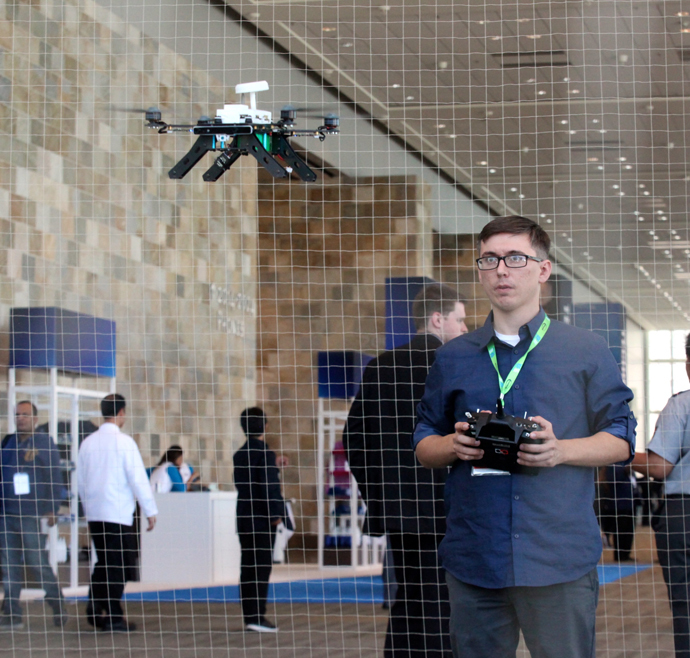 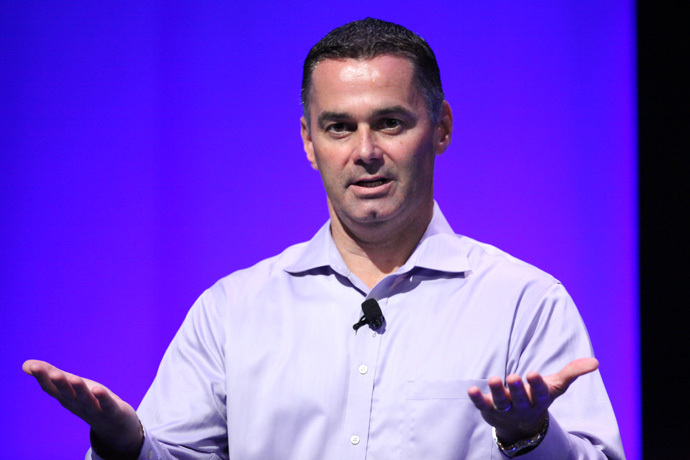 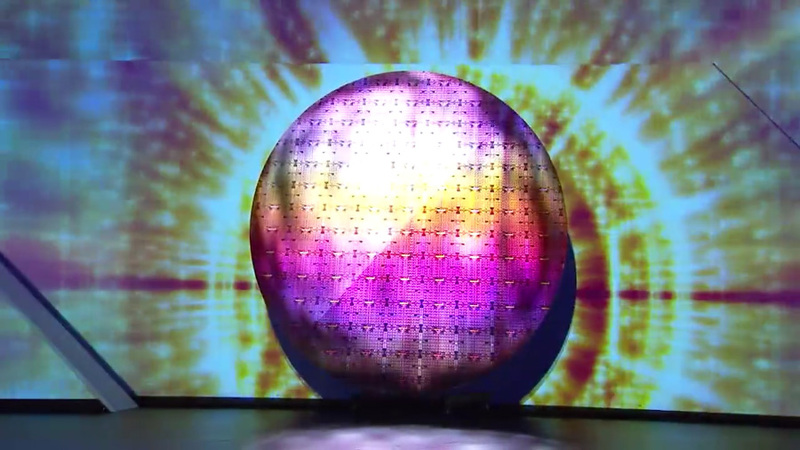 The 2016 Intel Developer Forum brings together the leaders shaping technology’s future: developers, technologists, inventors and makers — as well as business executives. 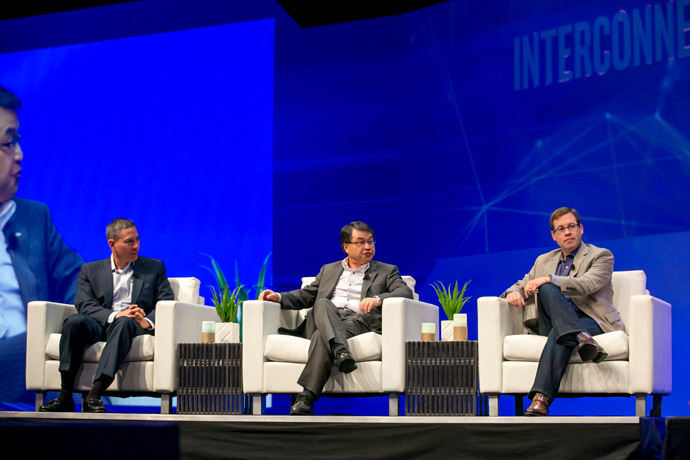 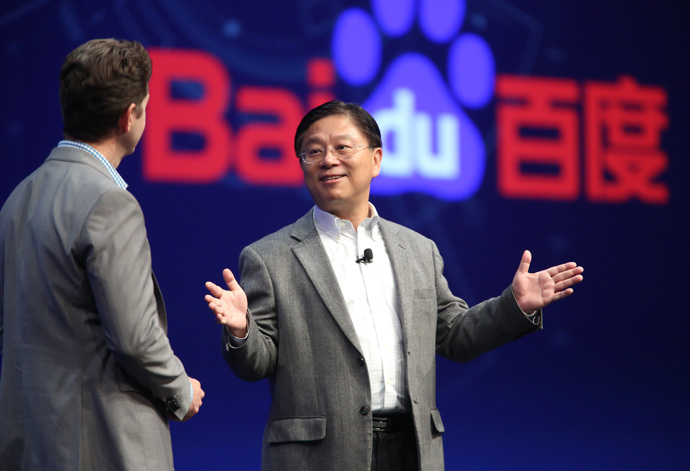 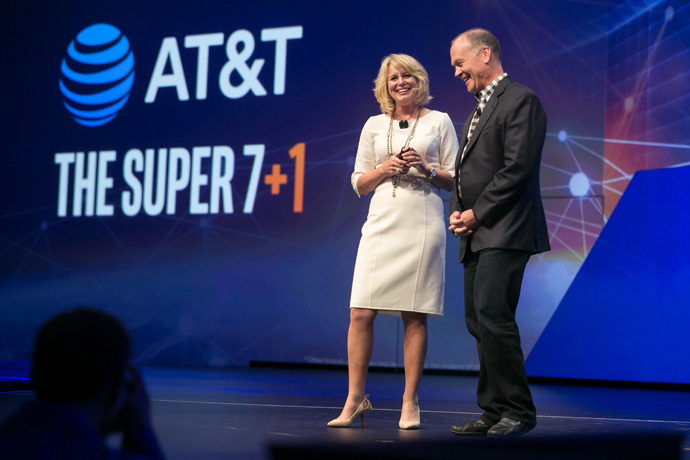 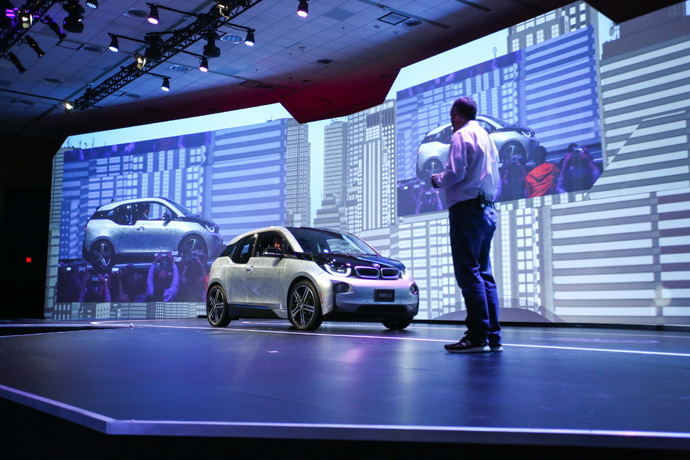 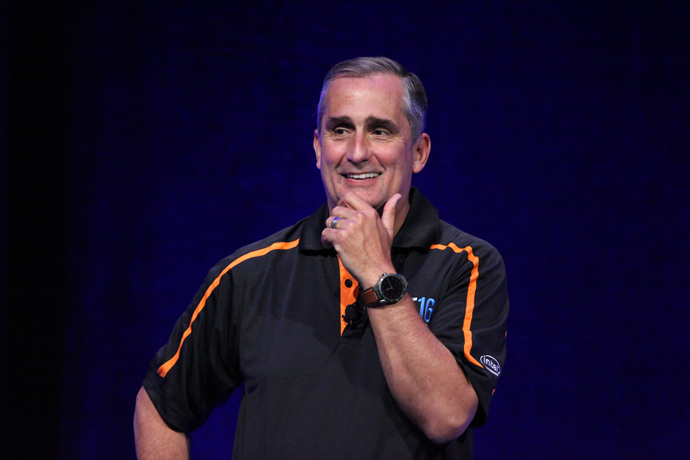 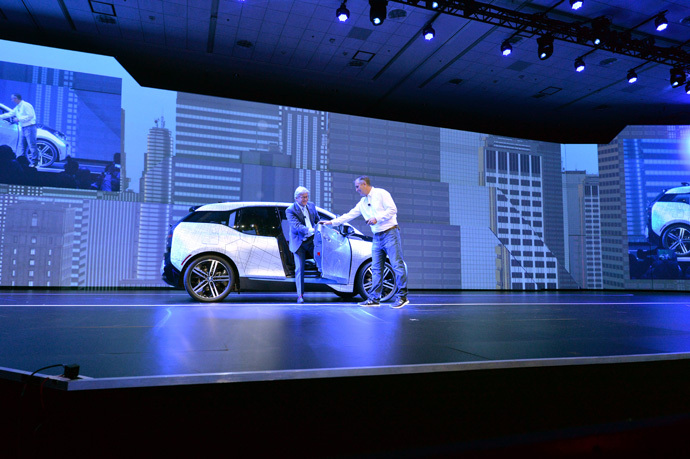 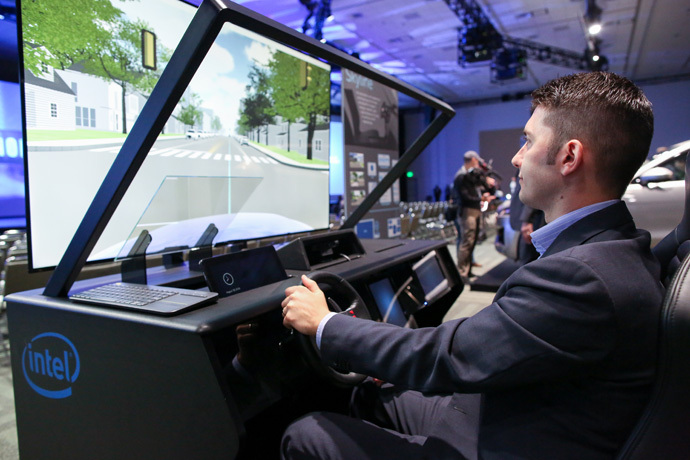 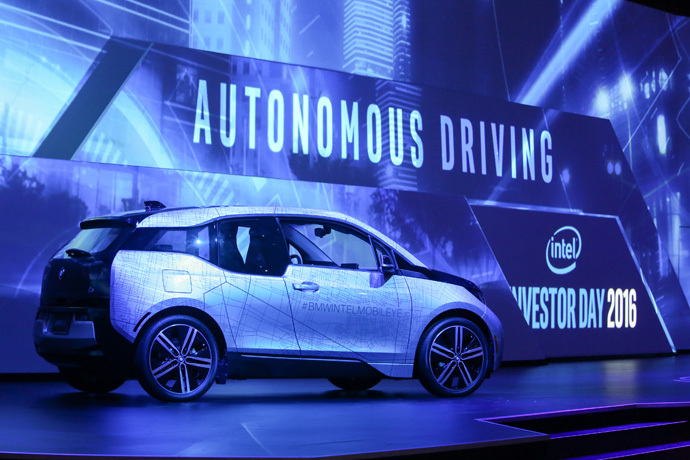 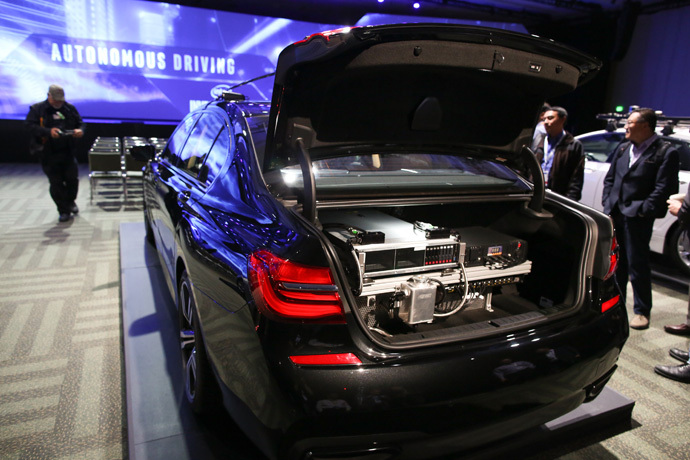 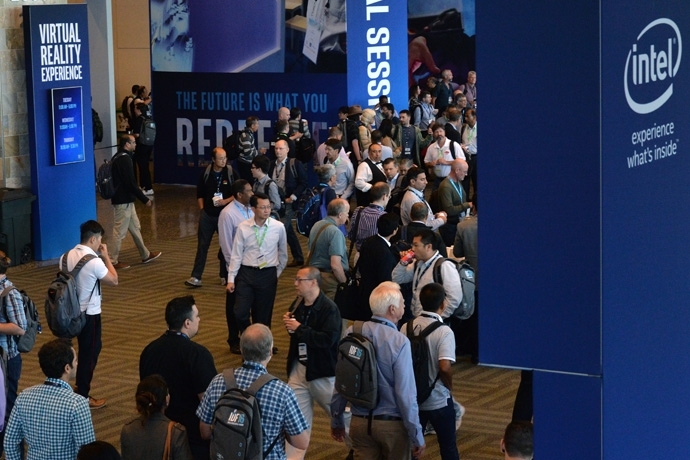 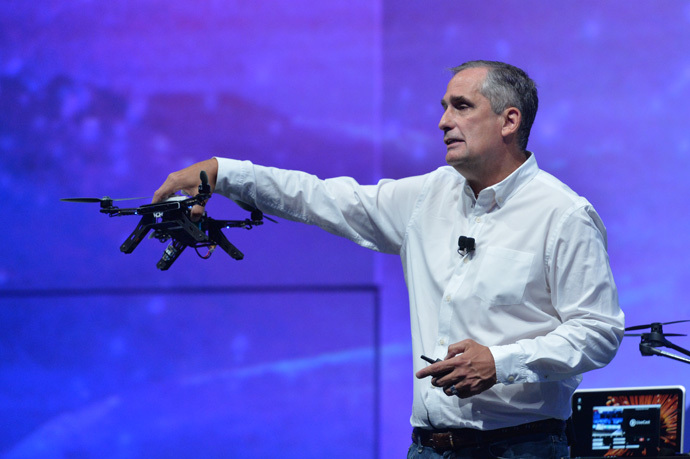 During the annual conference, Aug. 16-18 in San Francisco, top executives from Intel and the technology industry will share their vision of the future in key growth areas, including virtual reality, autonomous driving, machine learning and 5G. 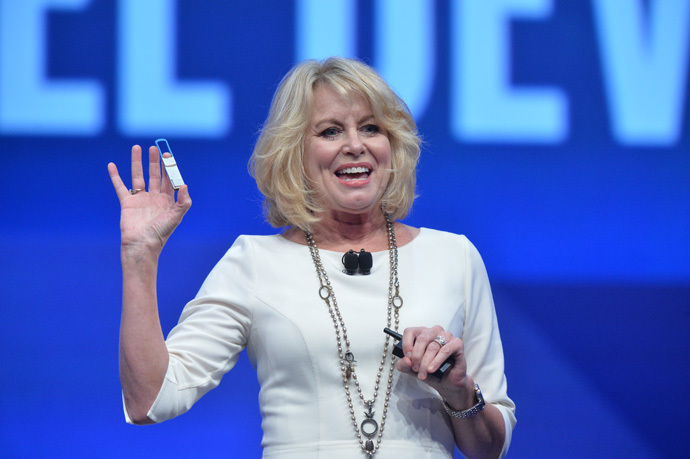 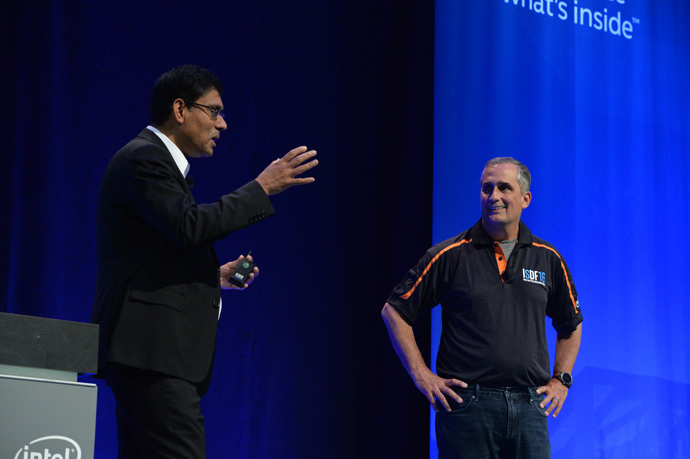 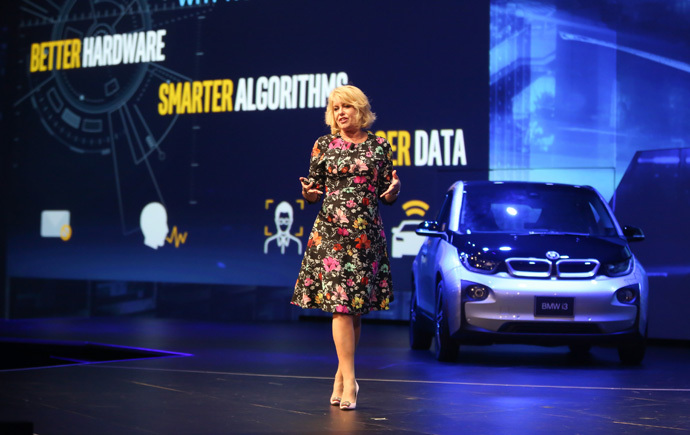 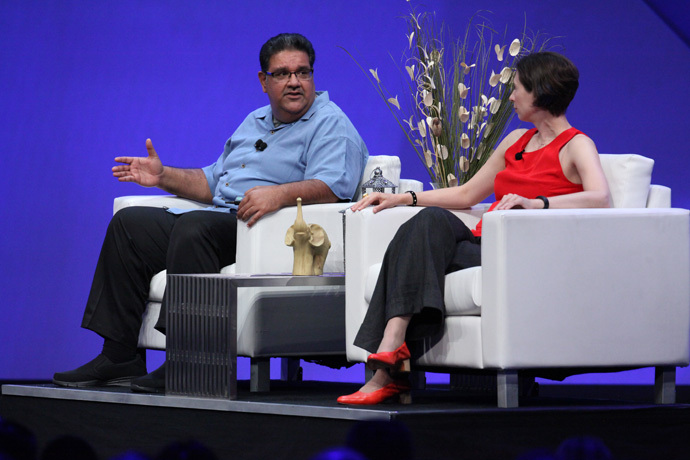 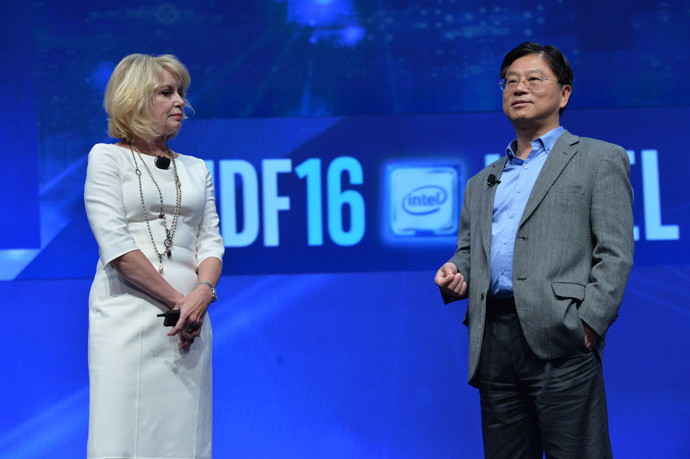 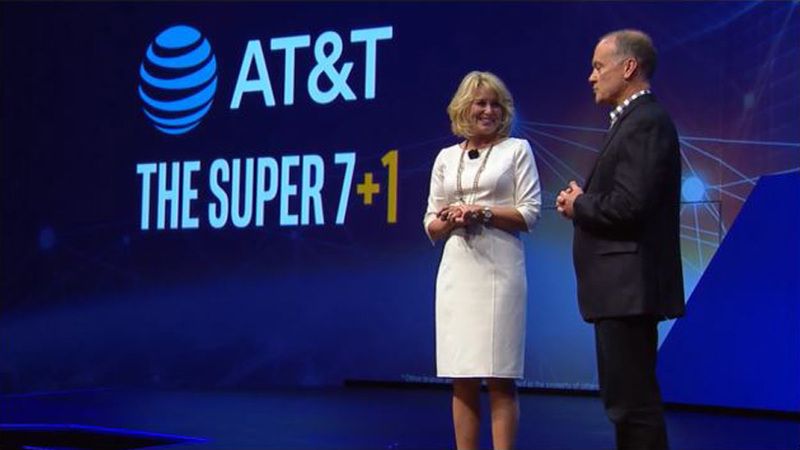 Day 2 of the 2016 Intel Developer Forum included dual keynotes from Murthy Renduchintala, president of Intel’s Client and Internet of Things Businesses and Systems Architecture Group, and Diane Bryant, Intel executive vice president and general manager of its Data Center Group. 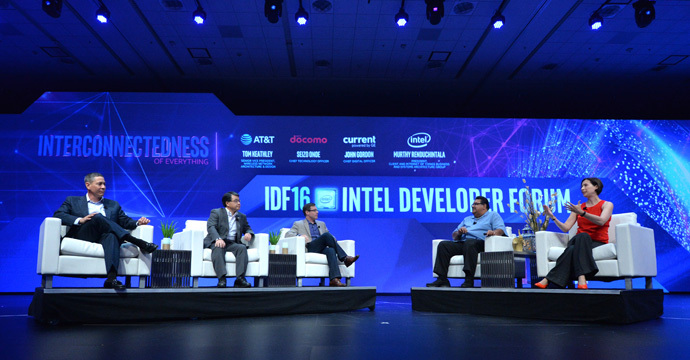 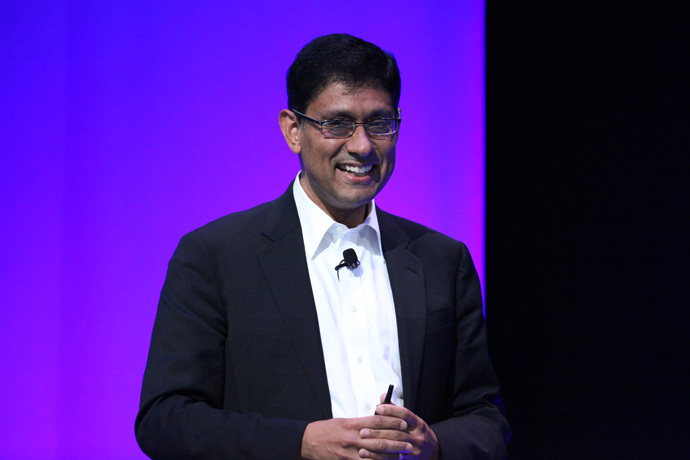 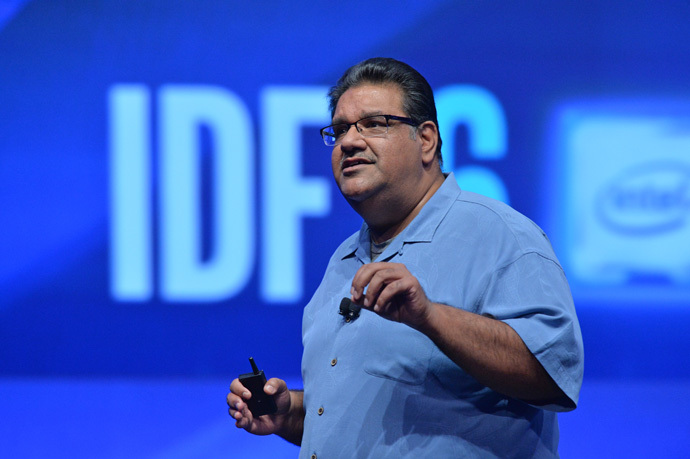 Murthy Renduchintala, president of Intel’s Client and Internet of Things (IoT) Businesses and Systems Architecture Group, speaks at the 2016 Intel Developer Forum in San Francisco on Wednesday, Aug. 17, 2016. 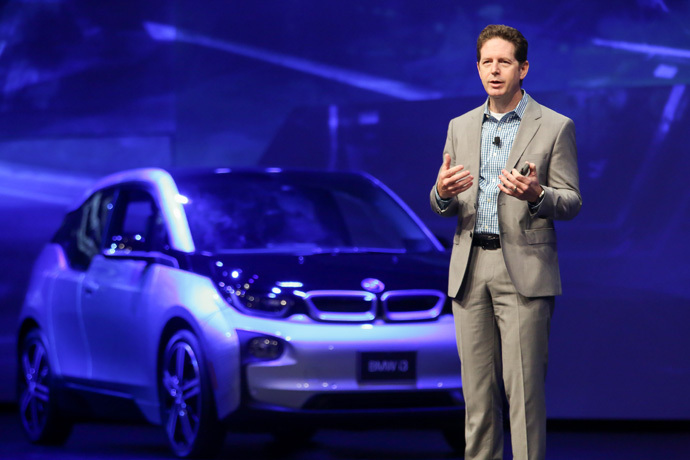 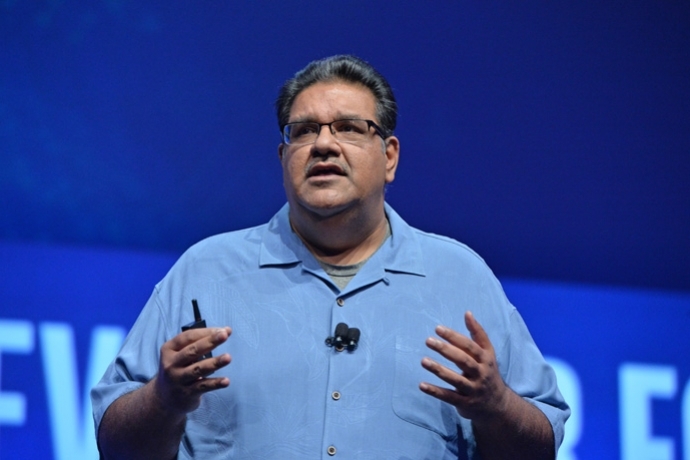 During his keynote, Renduchintala discussed the innovations that drive the next revolution in technology as we shift to a truly connected world. 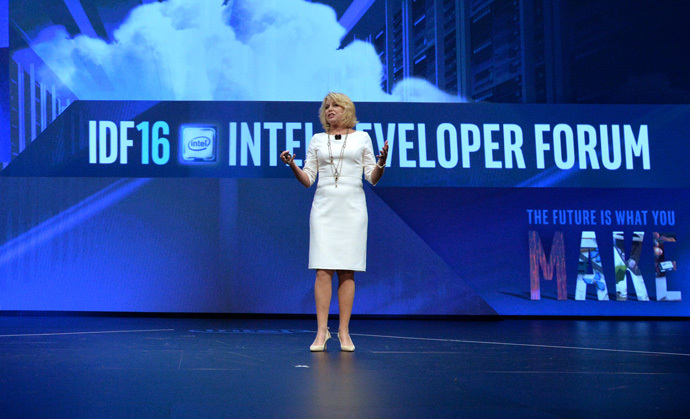 Diane M. Bryant, Intel executive vice president and general manager of its Data Center Group, speaks at the 2016 Intel Developer Forum in San Francisco on Wednesday, Aug. 17, 2016. 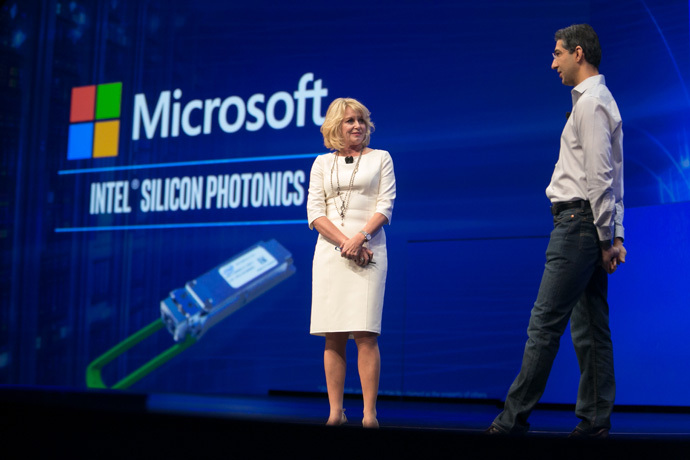 During her keynote, Bryant spoke of the demand on connectivity in an increasingly connected world and announced the start of mass production of Intel Silicon Photonics. 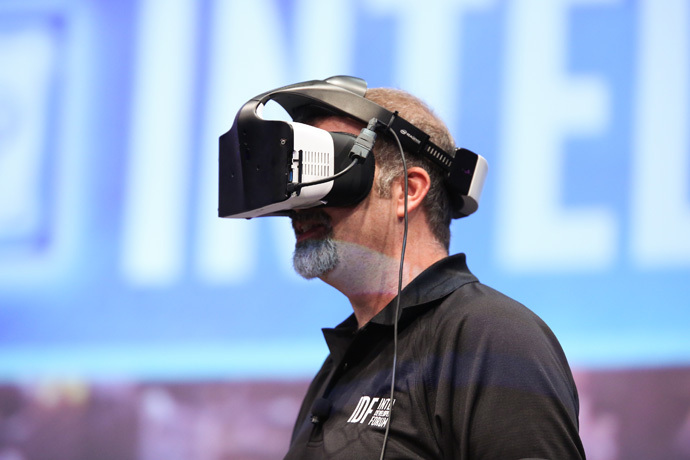 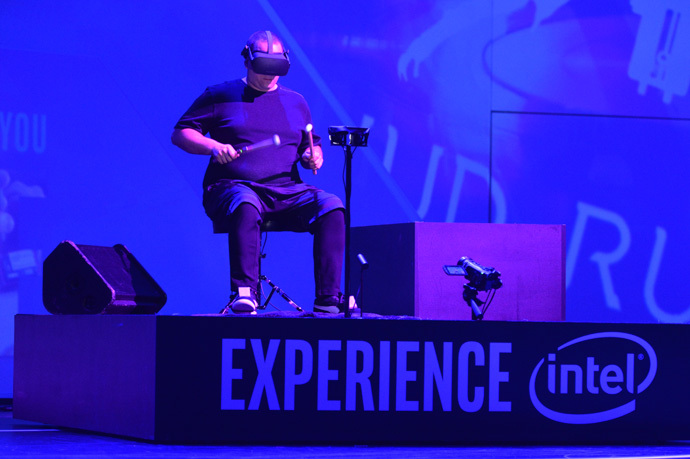 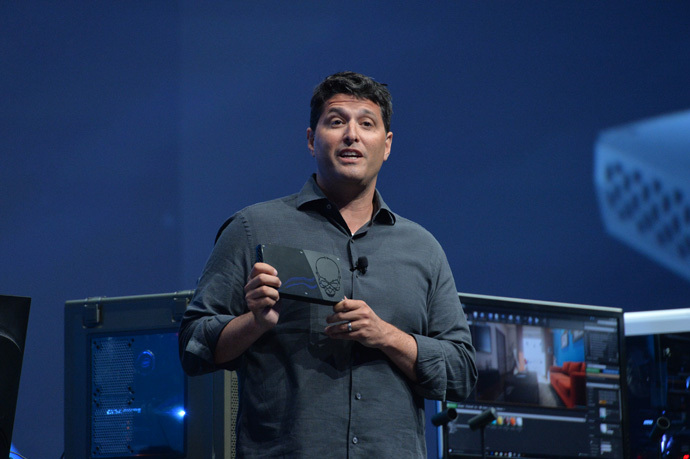 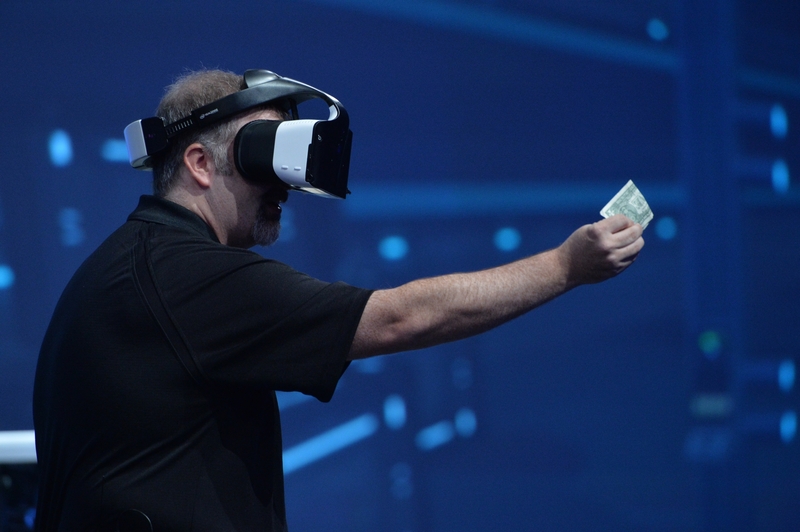 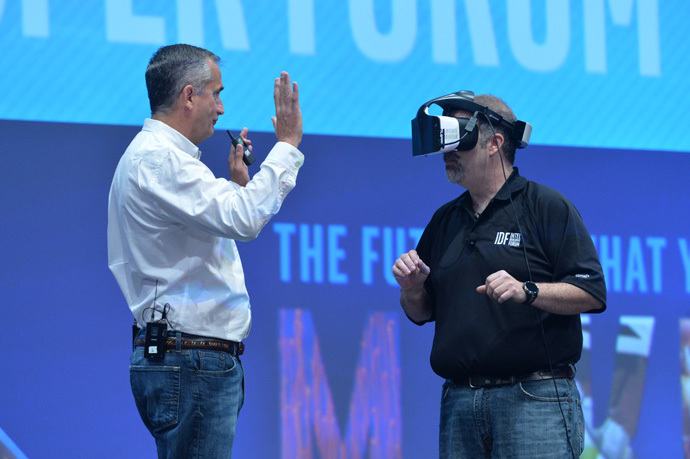 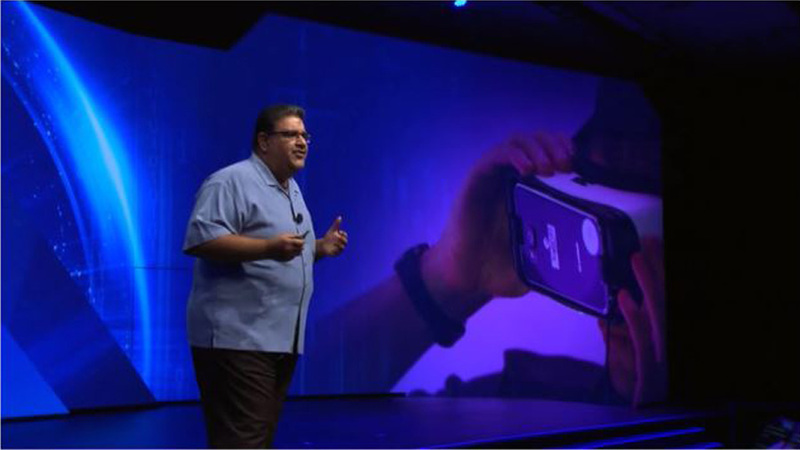 Intel’s Craig Raymond displays the Project Alloy virtual reality headset during the Day 1 keynote at the 2016 Intel Developer Forum in San Francisco on Tuesday, Aug. 16, 2016.